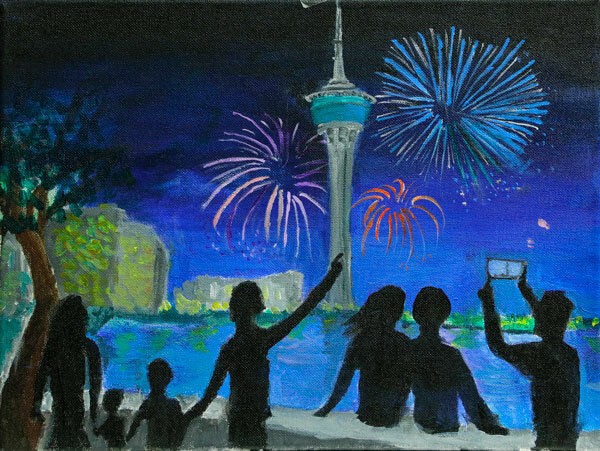 Imagine the night sky of Macao aglow in a starburst of magnificent fireworks accompanied by the cheers and applause of spectators enjoying this spectacular light and sound show. What a splendid scene! 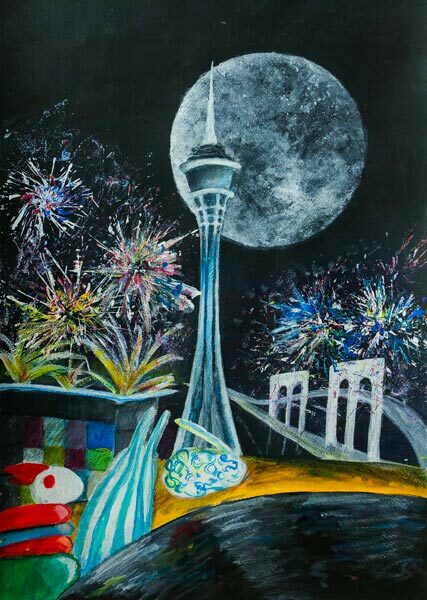 The annual Macao International Fireworks Display Contest usually takes place on several Saturdays every September, on Mid-Autumn Festival and on China’s National Day on 1st October. 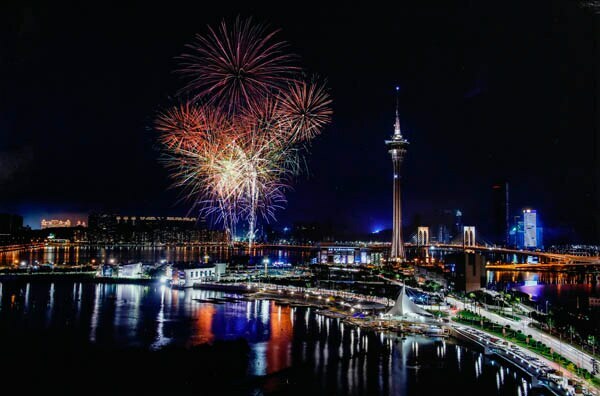 The marvellous fireworks displays add a joyous atmosphere to holidays and festivals, and have become an annual must-see in Macao, with many spectators specially choosing this time of the year to visit for an exotic and romantic break. 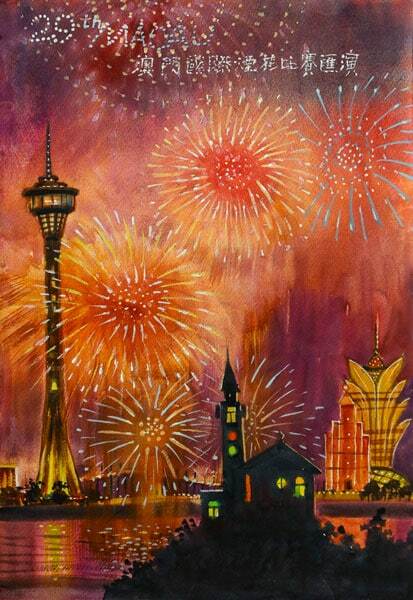 Macao Government Tourism Office staged the inaugural edition of the ‘Macao International Fireworks Display Contest in 1989, which featured five participating teams only. By 1995 the annual event had developed into a ten-team event, with two different teams demonstrating their expertise each night, a successful format that continues to this day. 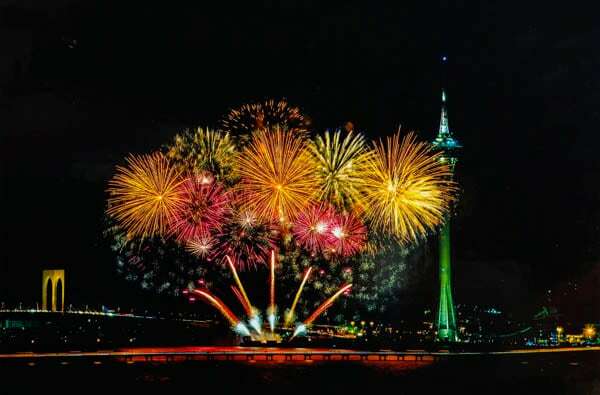 The Macao International Fireworks Display Contest has grown over the years into an internationally acclaimed event, and is acknowledged as one of the best of its kind. Over the years, more than 100 outstanding teams from China, Japan, Korea, Thailand, Malaysia, the Philippines, Australia, Chinese Taiwan, the United Kingdom, France, Switzerland, Italy, Spain, Portugal, Germany, Austria, Poland, Croatia, Finland, the United States, Canada and South Africa have participated in this pyrotechnic wizardry. 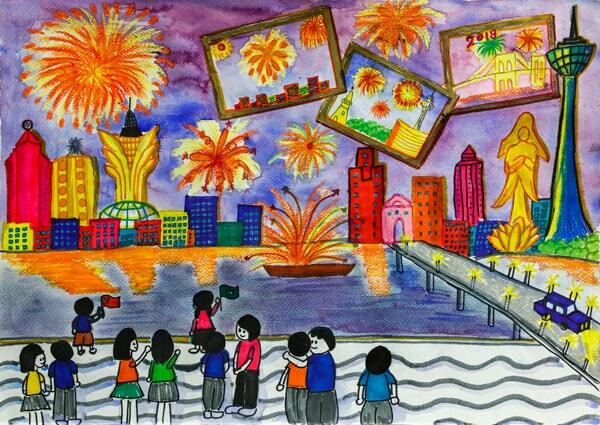 During the period of this popular event, the Macao Government Tourism Office hosts a much-anticipated photo contest, student drawing contest and trophy design contest which attract many talented participants, adding even more colour to the festivities. 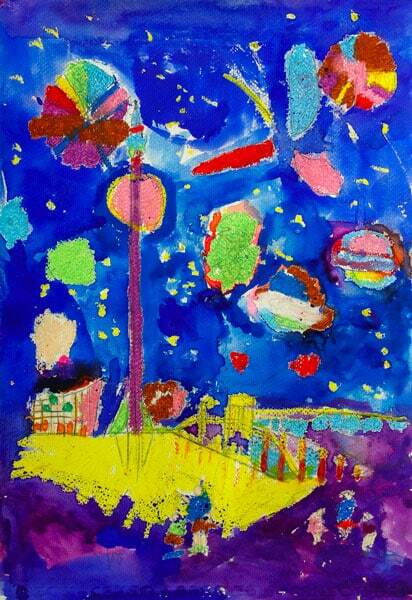 The dazzling extravaganza has inspired many wonderful works which shine with creativity every year. 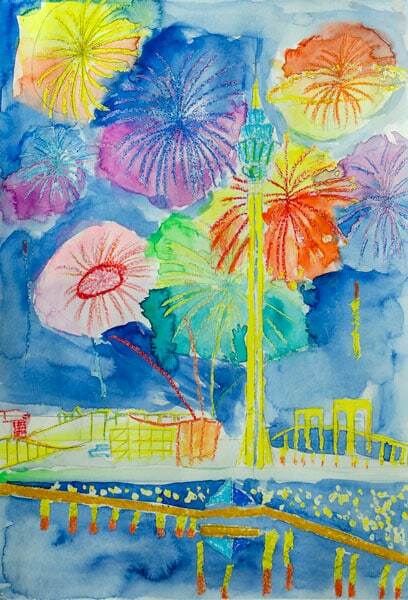 Panda Fireworks Group Co., Ltd.
Tamaya Kitahara Fireworks Co., Ltd.
Wan Dar Fireworks Mfg. Co., Ltd.
San Tai Fireworks Ind. Co., Ltd.
Foti International Fireworks Pty Ltd.
Liuyang Jiding Fireworks Manufacture Export Co., Ltd.
GJR - Pirotecnia e Explosivos, S.A. 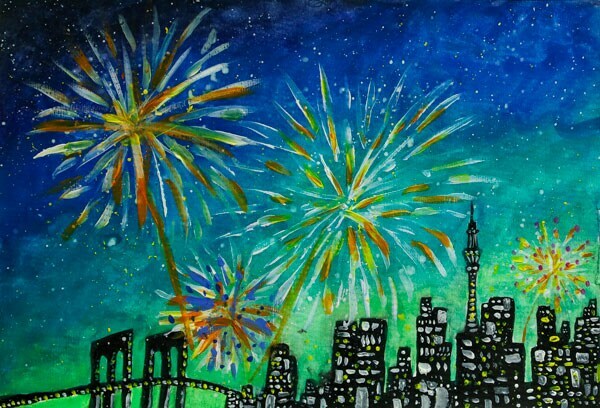 Sunny International Fireworks Co. Ltd. 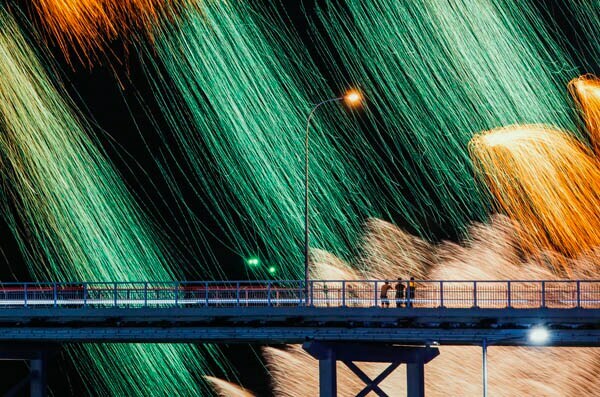 Capture the beauty and energy of the fireworks displays in a frozen pyrotechnic moment to join the photo contest. 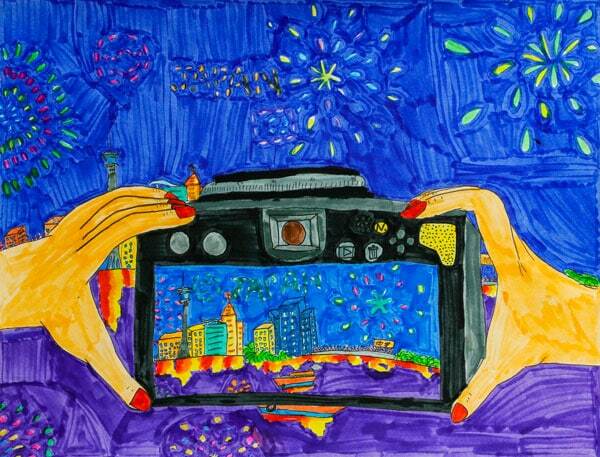 All you need is a camera to take that stunning shot - for great prizes! 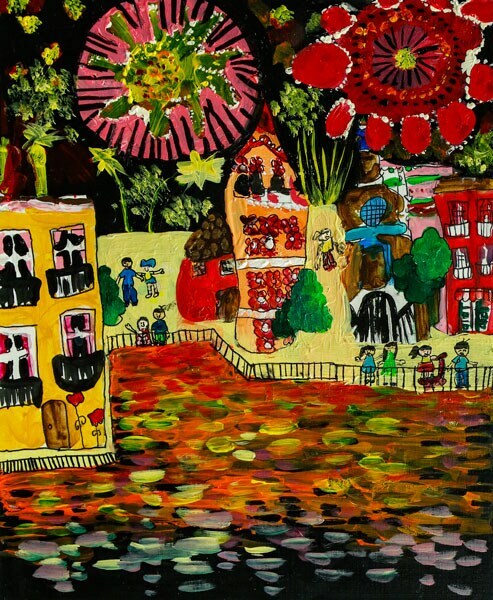 Artistic and young students are invited to join the drawing contest and give full play to their creative talents, and their colourful, inventive works inevitably express their young, adventurous hearts. 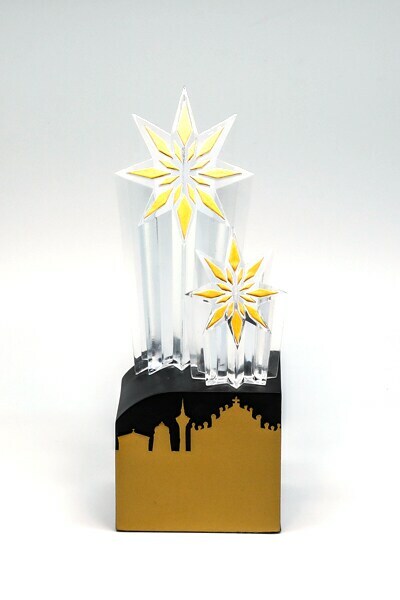 Locals can turn their aesthetic sense into a unique trophy for the trophy design contest, awarded works may be used as trophy design for the winning fireworks teams in the following year. The competition aims to call for the creativity of music lovers to compose festive melody and lyrics for this mega event in Macao. The selected song may have the chance to be adopted as the theme music for the "30th Macao International Fireworks Display Contest". 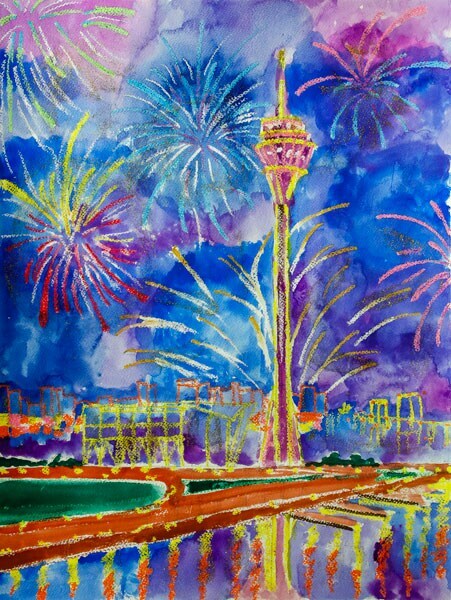 Syyuan Fireworks Co., Ltd (http://www.syyuan.com.tw) opens the 26th Macao International Fireworks Display Contest, which is among the biggest events of its kind in the world. The company from Taiwan, China will perform on the night of the Mid-Autumn Festival. 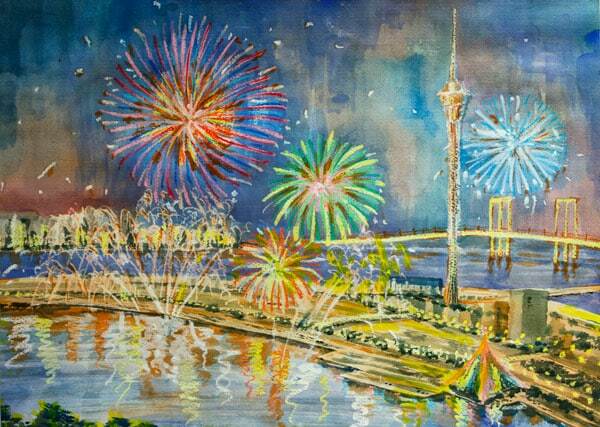 This will be the fourth time the company joins the Macao International Fireworks Display Contest. Syyuan Fireworks appeared in the contest in 1996, 2002 and returned in 2012. 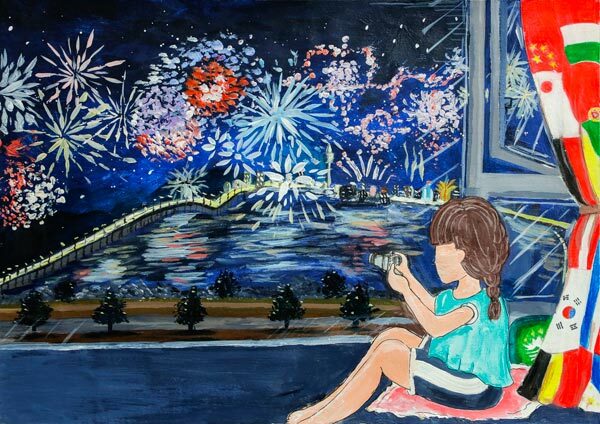 Credited as one of the most creative companies in Taiwan, China, Syyuan has done performances such as fireworks displays in a Ferris wheel and storytelling with fireworks. 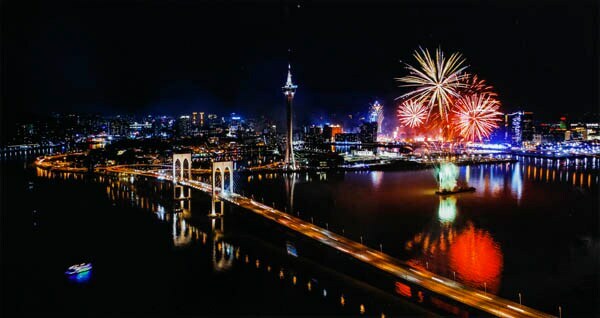 Hunan Jingtai Fireworks Co., Ltd (http://www.sunnyfireworks.cn) will open the second night of performances of the 26th Macao International Fireworks Display Contest, which is among the biggest events of its kind in the world. 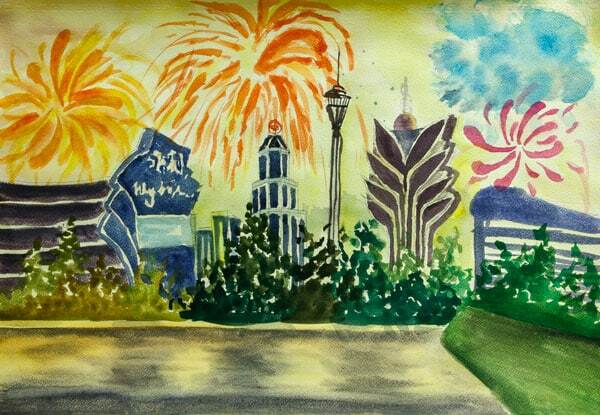 The company comes from the fireworks birthplace in Mainland China - Hunan Province. 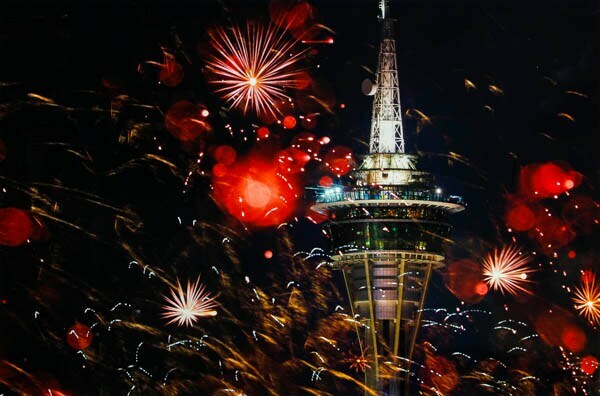 Counting more than 30 years of history, it has gained fame and acclaim in the fireworks industry, both as a manufacturer, exporting to Asia, Europe and North America, as well as a pyrotechnic performer, having joined contests all over the world. The company was the second runner-up at the Macao contest in 1999. 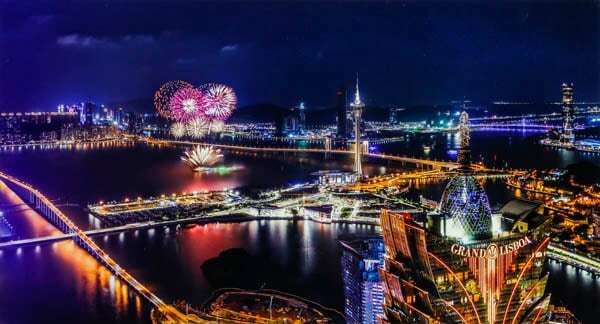 Daehan Fireworks Co (http://www.dhfireworks.com) will open the third night of performances of the 26th Macao International Fireworks Display Contest, which is among the biggest events of its kind in the world. Founded in 1970, Daehan joins the Macao contest for the third time. 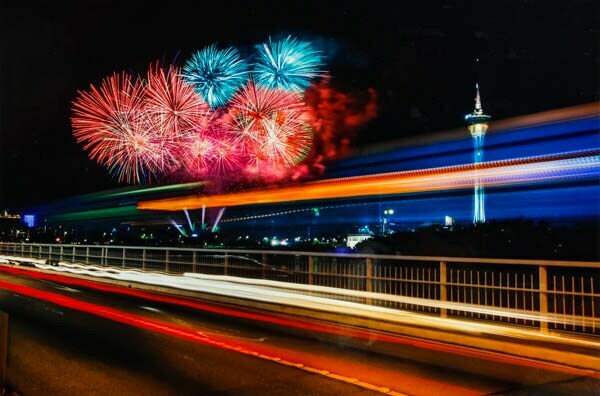 Since 1990, the Korean company has been in charge of fireworks displays in several theme parks at its home country, such as South Korea’s major amusement park Samsung Everland and Lotte World’s theme park in Seoul. The company’s portfolio includes also fireworks displays in several cities in Korea for the 2002 FIFA World Cup Korea/Japan. Surex - Family Company Ryszard Suzdalewicz (http://www.surex.pl) is the first company from Poland to ever join the Macao International Fireworks Display Contest. 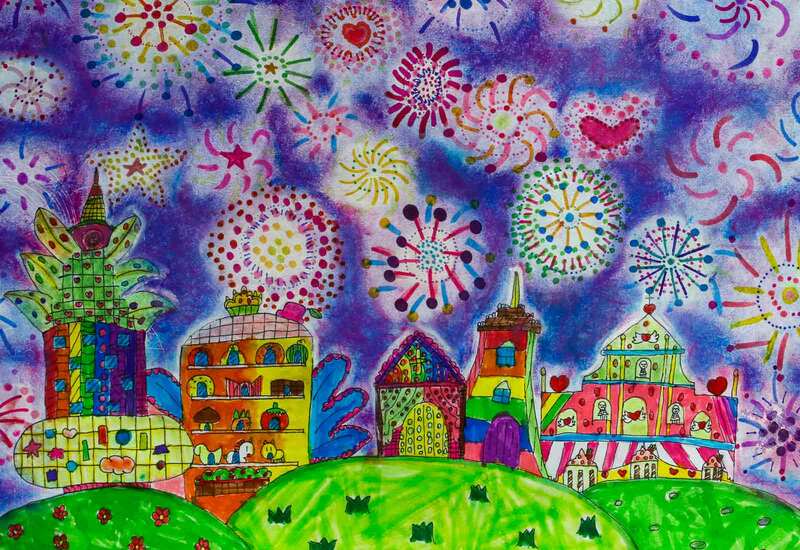 The family company from Poland likes to say that fireworks are both their job and passion, allowing them to showcase their artistic soul at both huge and small fireworks displays. 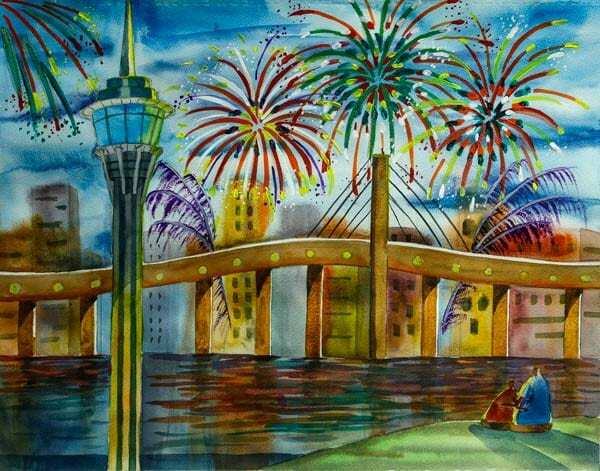 The company has been invited to join contests around the world, receiving a range of accolades, including the third prize from jury at the International Fireworks Competition in Shanghai in 2012. Since 2008 it started organizing in its home country an international fireworks festival that draws thousands of people every year. Croatia - Mirnovec Pirotehnika d.o.o. Mirnovec Pirotehnika d.o.o. 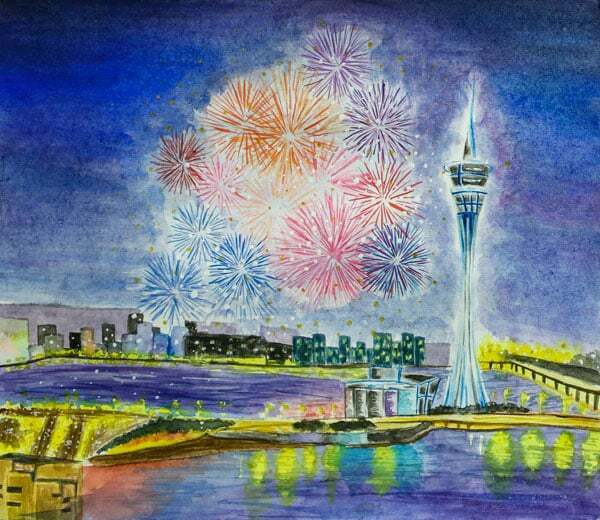 (http://www.mirnovec.hr) marks the debut of a company from Croatia at the Macao International Fireworks Display Contest. Founded in 1993, Mirnovec is one of Eastern Europe’s biggest fireworks producers and performers. The company’s portfolio includes entertainment pyrotechnics for performances of bands such as the Rolling Stones, and movies from legends like Steven Spielberg. 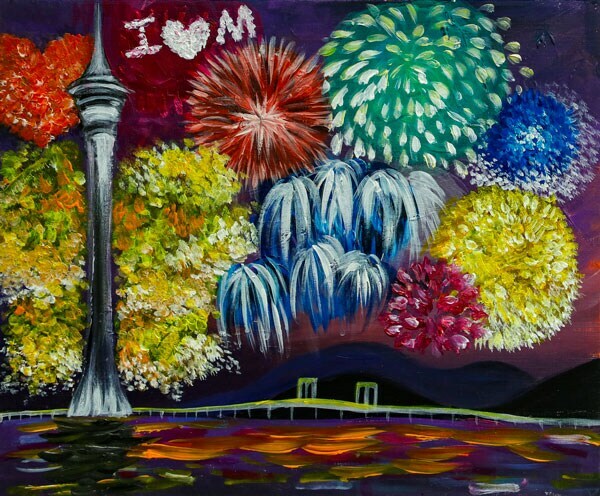 For the past 13 years, Mirnovec has also accumulated experience in organizing international fireworks festivals with teams from around the globe, as well as by participating in many international fireworks competitions, with several awards under its belt. A Pyrofel Pirotecnia, Lda (http://www.pyrofel.com) abre a quarta noite de exibições do 26º Concurso Internacional de Fogo de Artifício de Macau, um dos maiores eventos do género no mundo. A companhia portuguesa de Marco de Canaveses participa no concurso de Macau pela terceira vez, tendo vencido o evento em 2002. Fundada em 2001, a Pyrofel é considerada uma empresa jovem, em comparação com as companhias pirotécnicas tradicionais de Portugal. A Pyrofel é especialista na produção de exibições de fogo de artifício multi-média para eventos públicos e privados, associando o fogo de artifício a elementos como o fogo, iluminações, laser, água, música, teatro de rua, entre outros. Skylighter Fireworks Pty Ltd (http://www.skylighter.com.au) is joining the Macao International Fireworks Display Contest for the first time. Founded in 1999, Skylighter is among Australia’s premier pyrotechnic display companies for large-scale events, presenting hundreds of displays nationally each year. 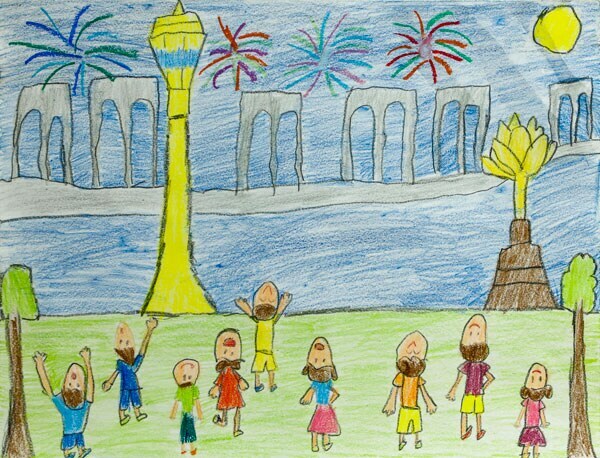 A family business, Skylighter’s credits include the production of the fireworks extravaganza for New Year’s Eve and Australia Day celebrations in Brisbane. The company’s portfolio also includes other major Australian displays, such as sporting events and local festivals, where Skylighter likes to include the city’s themes and landmarks into a display. SODIP Pyrotechnie (http://www.sodip-pyrotechnie.com) is joining the Macao International Fireworks Display Contest for the third time, following its previous appearances in 2003 and 2010. 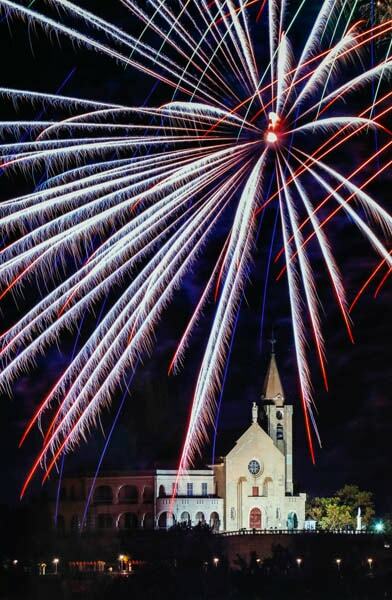 With more than 60 years of experience accumulated in the fireworks industry, the company from center of France, participates in pyromusical festivals all year round, mainly in its home country. SODIP is found of creating tailor-made shows for festive events, and calls its displays artistic productions, where the French company uses both traditional fireworks and modern techniques. 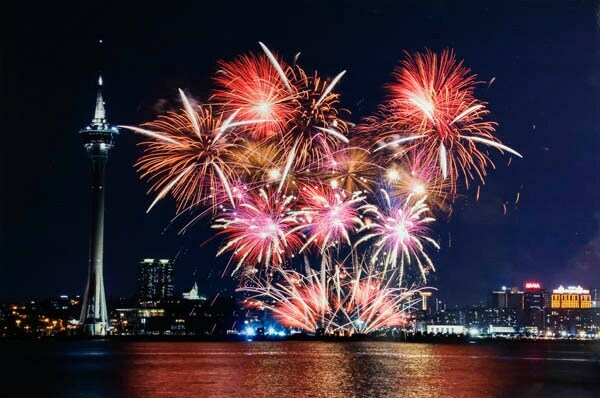 La Tirrena sas di Ferraro Vittorio e Nicola & C will open the fifth and closing night of performances of the 26th Macao International Fireworks Display Contest, which is among the biggest events of its kind in the world. Joining the contest in Macao for the second time, La Tirrena was the first runner-up in 2009. The Italian company uses handmade fireworks, product of the experience the company gathered since its foundation in 1898, together with the latest electronic equipment. A family company, La TIrrena has been many times awarded in fireworks contests in Europe and is proud to be the official pyrotechnic display company for Napoli Football Club. 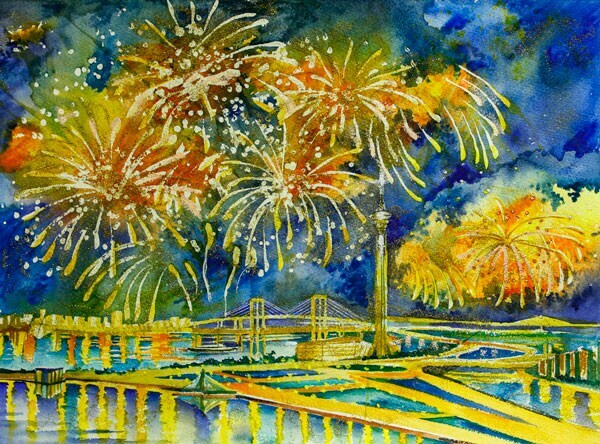 Pirotecnia Zaragozana SA (https://www.pirotecniazaragozana.com) is joining the Macao International Fireworks Display Contest for the first time. The company’s display will close the 26th edition of the contest on October 1, China National Day. 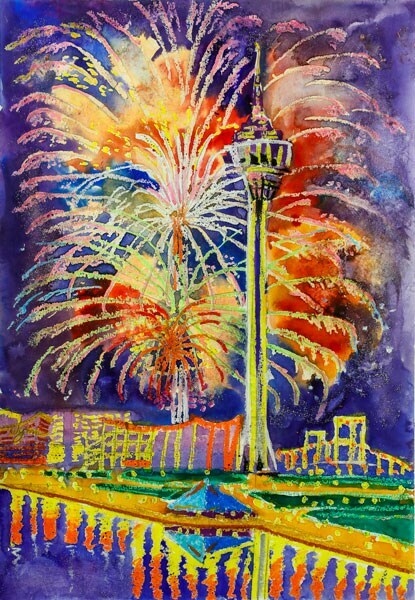 Founded in 1860, Zaragozana is one of the biggest pyrotechnic companies in Spain, and is known for the bright and colorful choices of the fireworks for its displays. 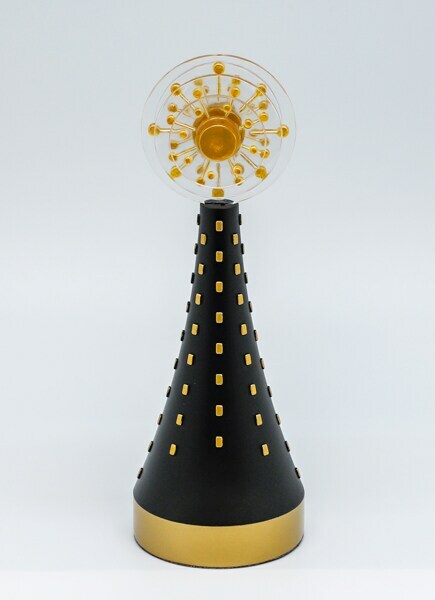 The company has been awarded many times in international fireworks contests, such as the first prize of both the jury and the public at the Festival d’Art Pyrotechnique de Cannes 2012, in France, one of the most prestigious pyrotechnic contests in the world. Red Flame Special Effects Sdn. Bhd. 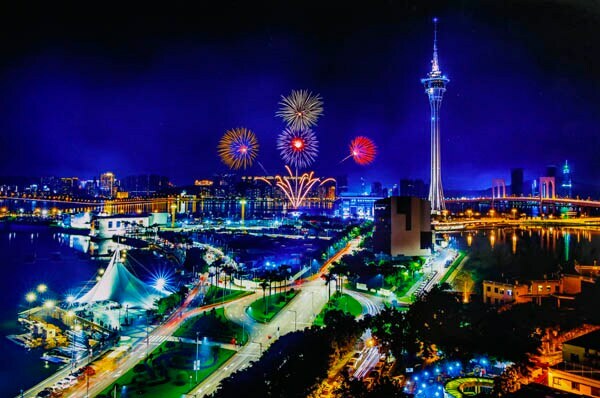 will open the 27th Macao International Fireworks Display Contest – one of the biggest contests of its kind in the world and among the most stunning events of the city. Red Flame marks the debut of a company from Malaysia at the contest in Macao. With more than 20 years of experience in the industry, the highlights of the company’s portfolio include the fireworks display for the grand opening of the Kuala Lumpur International Airport in 1998 and the Malaysian F1 Grand Prix in 2005. 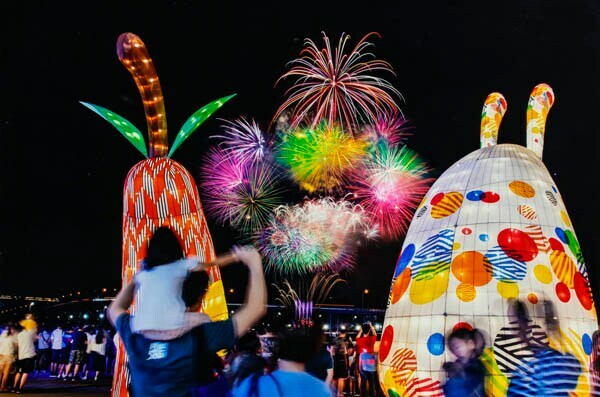 The company also won the second place in the Malaysia International Fireworks Competition in both 2007 and 2008, and was the technical team for the Danang International Fireworks Competition, in Vietnam, from 2008 to 2013. 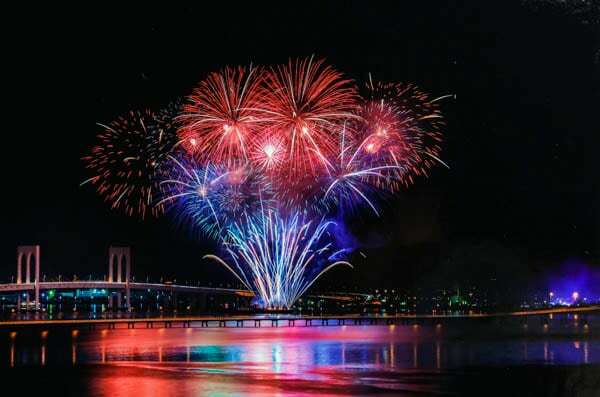 Suomen Ilotulitus Oy - Finnish Fireworks Ltd. will open the second night of displays of the 27th Macao International Fireworks Display Contest – one of the biggest contests of its kind in the world and among the most stunning events of the city. Suomen Ilotulitus Oy marks the debut of a company from Finland at the contest in Macao. 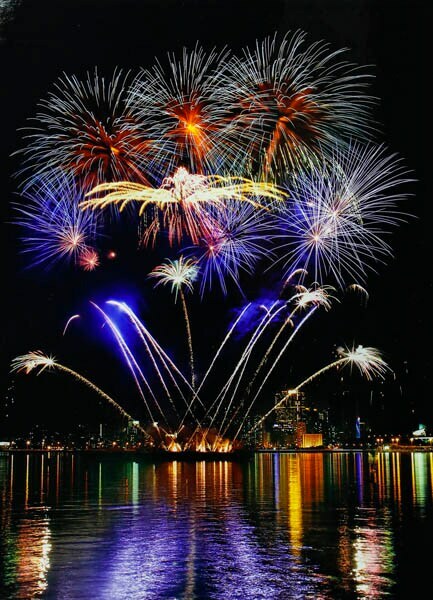 The company holds over 60 years of experience in the industry and organizes over 200 fireworks displays a year. 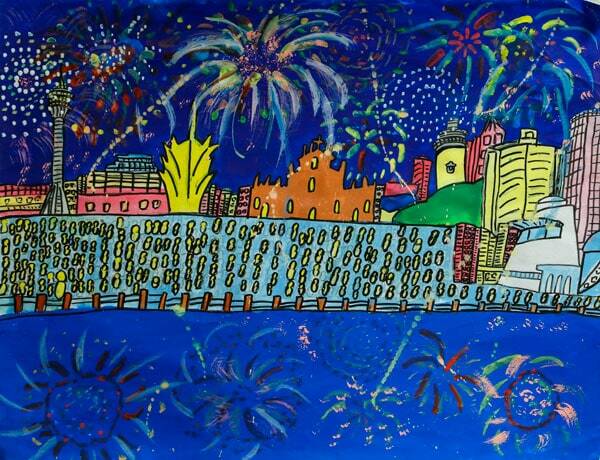 Suomen Ilotulitus Oy is Finland's largest fireworks company and the only one in Scandinavia manufacturing fireworks. 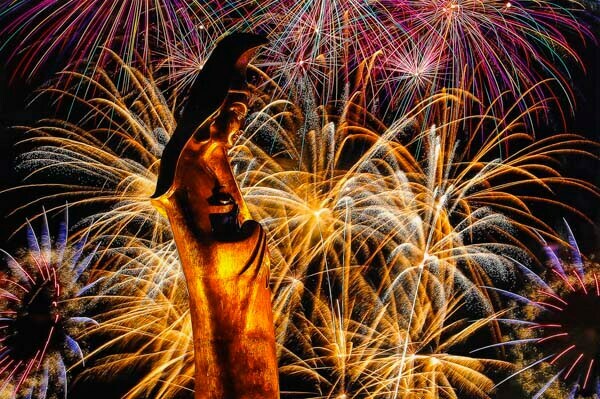 The company has been ten times winner in its home country fireworks contest and won the first place at the ‘Samobor International Fireworks Festival 2012’ in Croatia. 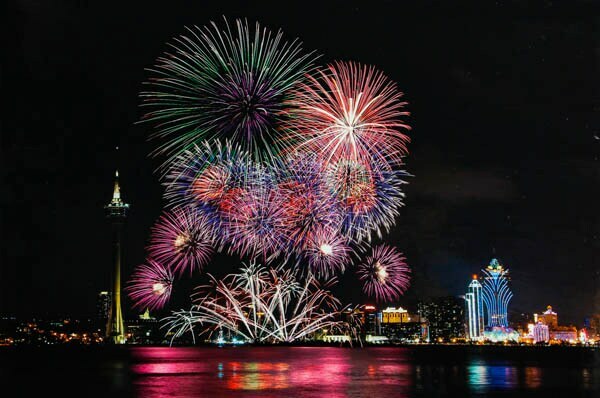 Yung-feng Firecrackers & Fireworks Co. Ltd is joining the Macao International Fireworks Display Contest for the third time, following the company’s appearance in the 9th and 13th editions of the contest. Established in 1976 in Taiwan, Yung-feng company is among the three largest fireworks companies in Taiwan. 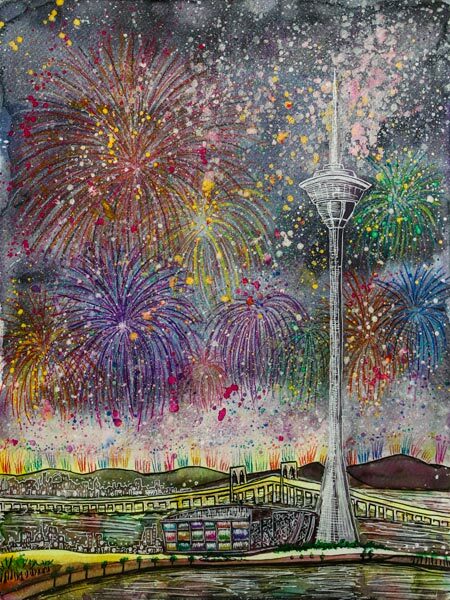 It holds a rich experience in organizing fireworks display on special occasions at both sides of the Taiwan Strait and abroad. Among the company’s outstanding performances is the organization of the pyrotechnic display at the Taipei 101 New Year Firework Show in 2013, with fireworks lightning up the super tall skyscraper Taipei 101, classified as the world’s tallest from 2004 until 2010. 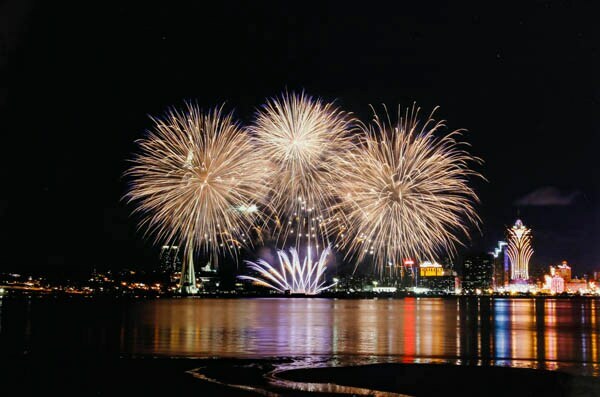 Daehan Fireworks Co will open the third night of performances of the 27th Macao International Fireworks Display Contest – one of the biggest contests of its kind in the world and among the most stunning events of the city. 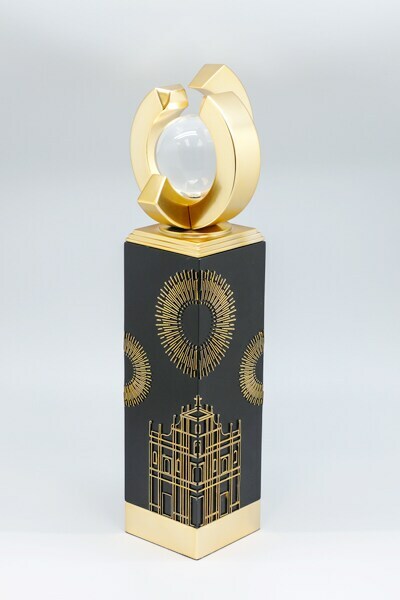 Daehan joins the Macao contest for the fifth time, after its appearance last year, as well as on the 22nd, 23rd and 24th editions of the contest. 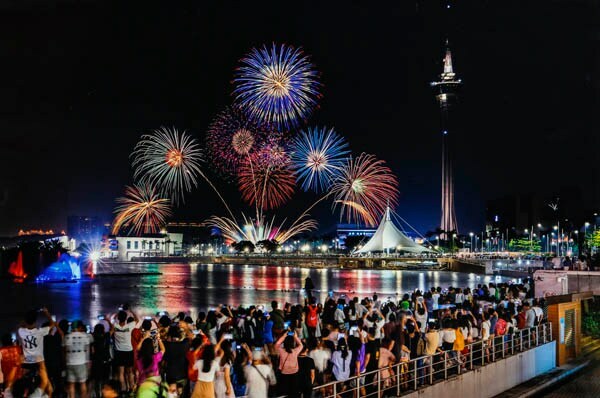 Starting from 1990, the Daehan has been in charge of fireworks displays in several theme parks at its home country, including South Korea’s largest amusement park Samsung Everland and Lotte World’s theme park in Seoul. 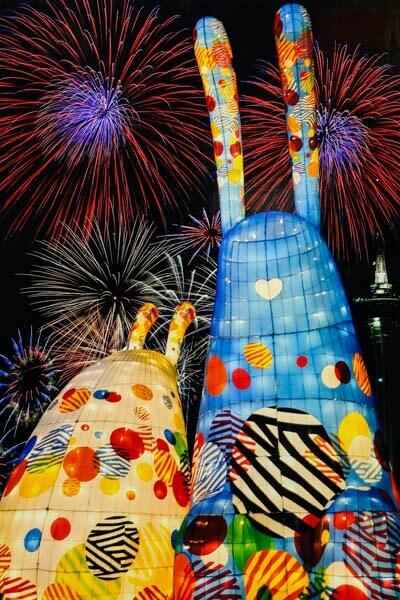 The company’s portfolio also includes the fireworks display in Korea for the 2002 FIFA World Cup Korea/Japan. 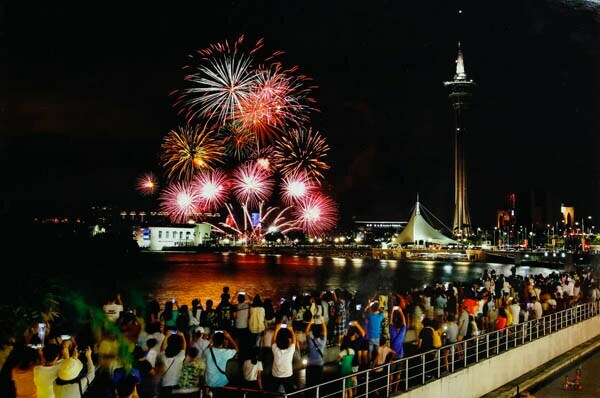 Parente Fireworks Group S.R.L is joining the Macao International Fireworks Display Contest for the first time. 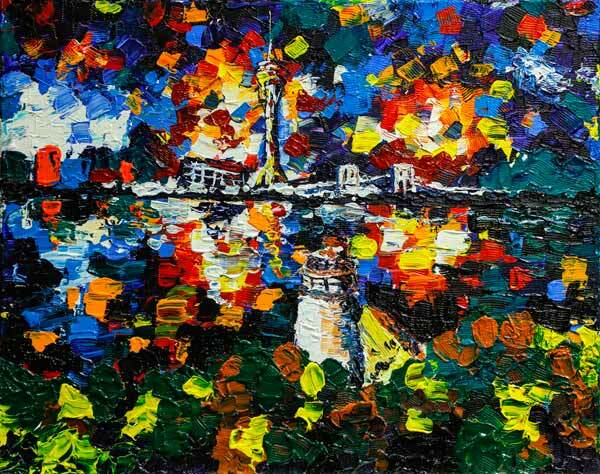 With over 100 years of history, the Italian company is specialized in large-scale pyrotechnic shows. Top at the portfolio of the company is the mega-fireworks extravaganza organized for the celebration of the 50th Anniversary of the Constitution of Kuwait, in Kuwait City, in 2012. Parente entered the World Guinness Record Book that year with the production of the show, as the biggest display of all time. 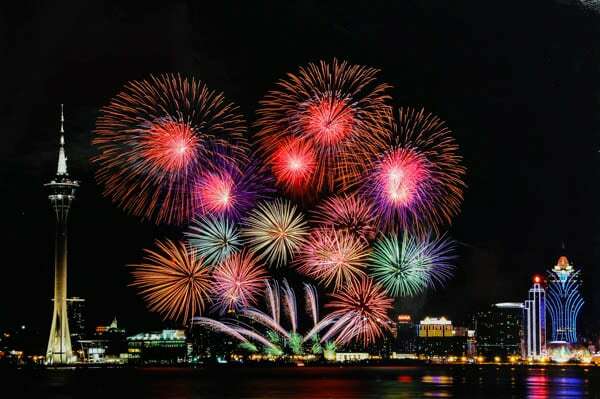 During the sixty minutes-long pyromusical and multimedia display, 77,282 fireworks were released from 251 floating pontoons distributed along six kilometers of seaside. Grupo Luso Pirotecnia is joining the Macao International Fireworks Display Contest for the fourth time. With its head office in Portugal, Grupo Luso Pirotecnia is also present in Asia, North America and Africa, through a network of partnerships and offices, including an office in Macao. Grupo Luso Pirotecnia organized in 2008 the fireworks display for the celebration of the ninth anniversary of the establishment of the Macao Special Administrative Region and in 2009 the Chinese New Year festivities in the city. Among the many highlights of Grupo Luso Pirotecnia’s portfolio, is the organization of the closing ceremony of the Singapore Grand Prix Formula 1 in 2013 and, in the same year, the first place at the ‘Fire Up the Night' International Fireworks Competition, in Cincinnati, USA. 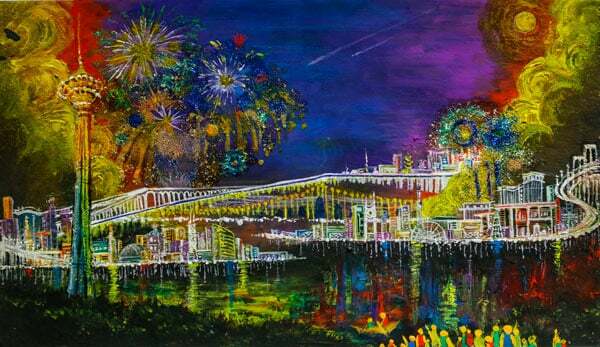 The pyrotechnic company artEventia will open the forth night of performances of the 27th Macao International Fireworks Display Contest – one of the biggest contests of its kind in the world and among the most stunning events of the city. The French company joins the Macao contest for the first time. Established in 2013, artEventia is specialized in designing pyrotechnics and multidisciplinary shows for special events. In its own words, the company “breathes the culture of Latin rhythms with an added French touch.” The creations made by artEventia include multi-media pyrotechnic displays in castles, large public events and national celebrations, among other events in France. Austria FIREevent, Die Feuerwerker is joining the Macao International Fireworks Display Contest for the third time. FIREevent Die Feuerwerker was the first company from Austria ever to participate at the Macao International Fireworks Displays Contest, making its debut at the contest in 2009, then returning in 2011. FIREevent has a name in the production of fireworks shows, with an extensive portfolio of participations in festivals and other events in Austria, as well as central and eastern Europe. Since 2003, the company ignites every year a New Year’s fireworks celebration in the snow in the Alps that has been described as “probably the most spectacular fireworks display in the Alps”. Howard & Sons Pyrotechnics will perform at the closing night of performances of the 27th Macao International Fireworks Display Contest – one of the biggest contests of its kind in the world and among the most stunning events of the city. The Australian company is joining the Macao contest for the second time, after their first appearance on the 16th edition. Founded in 1922, the company now in its fourth generation of pyrotechnicians, specializes in producing large-scale events. The list of its notable fireworks performances include the opening of Sydney Opera House in 1973, the 2010 Delhi Commonwealth Games, the 2011 Qatar National Day celebrations, the first place at the Da Nang International Fireworks Competition in Vietnam in 2015, among others. 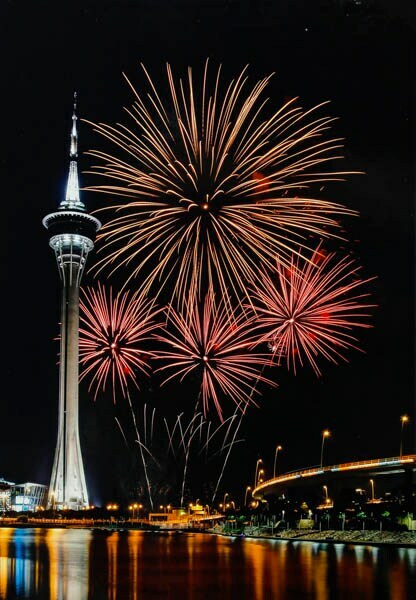 The last performance of the closing night of the Macao International Fireworks Display Contest, and China National Day, is booked for the company coming from Mainland China, Dancing Fireworks Group, Co., Ltd. 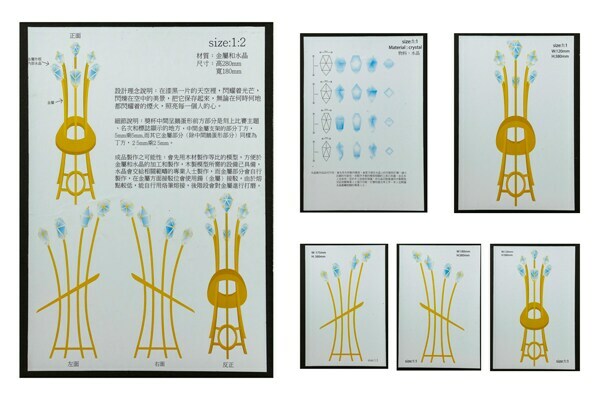 The company is making its second appearance at the Macao contest, after the 25th edition, where they won the second place. 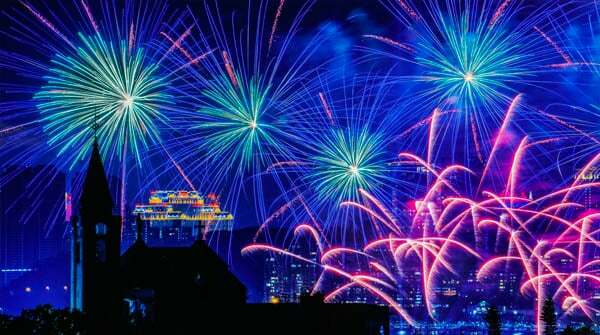 Founded in 1996, Dancing Fireworks is among the most renowned companies in China in organizing large-scale events. The company’s outstanding fireworks performances include the Beijing Olympic Games 2008, the 60th National Celebration Show of People’s Republic of China in 2009, the Shanghai World Expo 2010, the 2010 Guangzhou Asian Games, the 2014 APEC Night fireworks display in Beijing, among others. 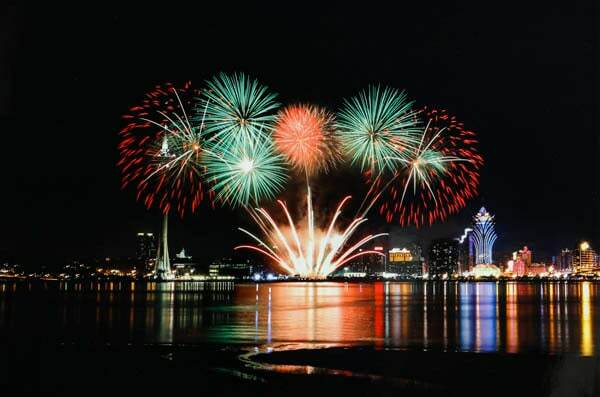 The display of Thailand Fireworks (www.thailandfirework.com) opens the 28th Macao International Fireworks Display Contest. 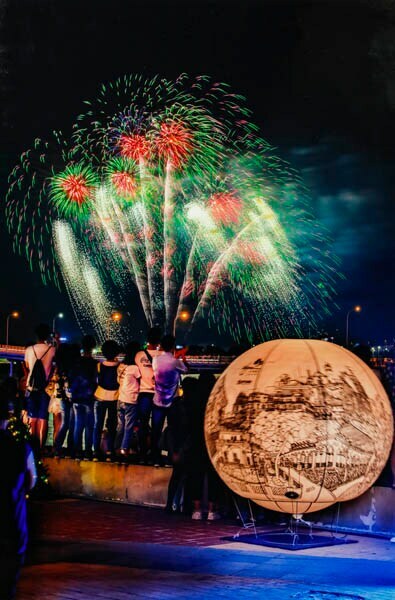 Thailand Fireworks is joining the contest in Macao for the third time, following the company’s appearances at the 13th and 24th editions of the event. 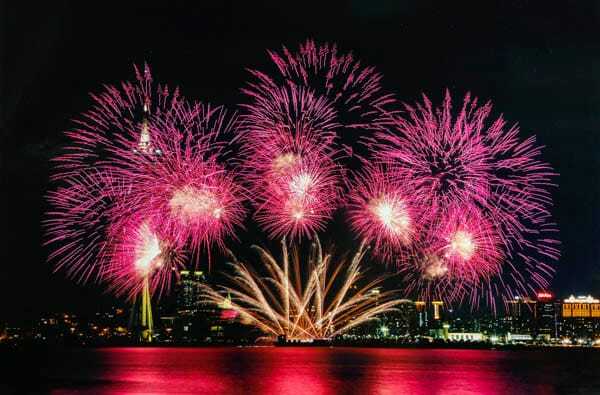 The company, which is the biggest fireworks company in the Kingdom of Thailand, organized the fireworks displays for the 13th Asian Games Bangkok opening and closing ceremonies. 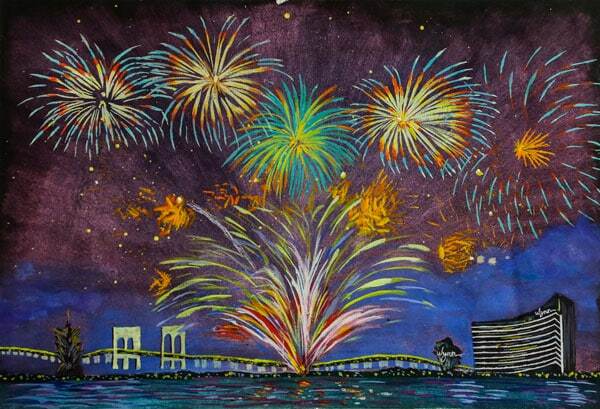 Macedos Pirotecnia, Lda (www.macedos.com.pt) joins the Macao International Fireworks Display Contest for the fifth time, after the 12th, 16th, 20th and 25th editions. The company won the Macao contest on its first appearance at the event in 2000. Boasting over 80 years’ pyrotechnic experience, the family-run company Macedos Pirotecnia held until 2012 the record of the Guinness World Records for the largest pyrotechnic show organized in the world, displayed in 2006-2007 New Year’s Eve in Madeira Island, in Portugal. Pyro 2000 Limited (www.pyro2000.co.uk) opens the second night of displays of the 28th Macao International Fireworks Display Contest. 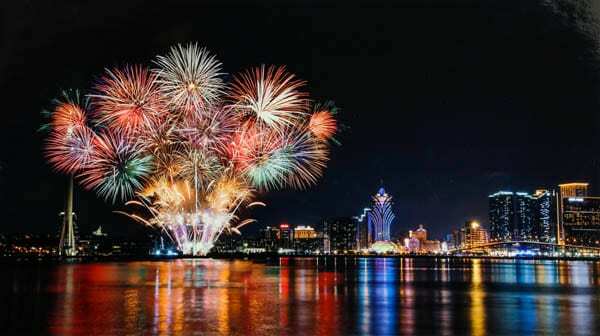 Joining the contest in Macao for the third time, Pyro 2000 appeared on the 12th and 22th editions, winning the second prize on its debut at the event. Established in 1996, the British company is among the key players of pyromusical displays in the UK, staging fireworks performances in the world-famous Royal Edinburgh Military Tattoo in Scotland each year, firing displays to live music performed by the bands assembled at the event. 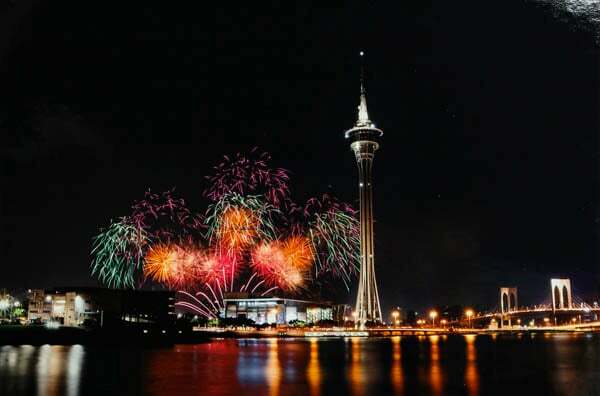 The Swiss fireworks company SUGYP SA (www.sugyp.com) joins the Macao International Fireworks Display Contest for the second time, after its first appearance in the 25th edition, year that the company obtained the third prize. Established in Switzerland in 1967, SUGYP SA is one of the leading fireworks companies in Switzerland and the biggest in French speaking Switzerland. 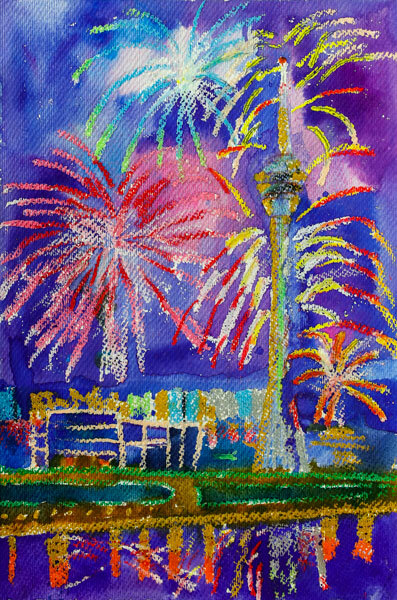 The company brings on over 250 fireworks shows across Switzerland and the world every year, among which more than 100 for the festivities in the French speaking communes for Switzerland National Day, celebrated on August 1 across the country. Marutamaya Ogatsu Fireworks Co., Ltd. (www.mof.co.jp) opens the third night of displays of the 28th Macao International Fireworks Display Contest. 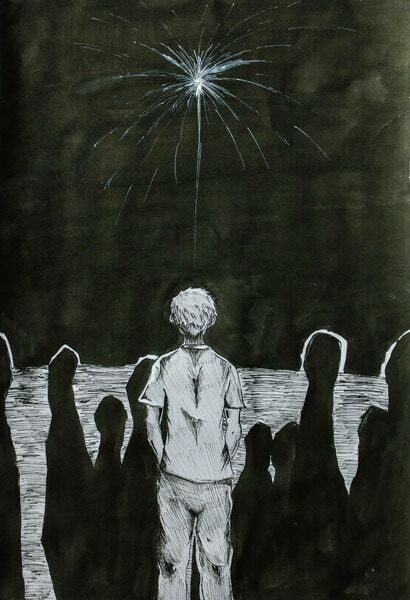 Joining the contest for the third time, Marutamaya Ogatsu Fireworks appeared on the 5th and 19th editions and won the top and third prize respectively. Taking pride in its over 150 years’ experience in pyrotechnics, the Japanese company is set to enthrall its audience with unforgettable fireworks displays in “Edo-Tokyo style”, which combines modern innovation of Tokyo and traditional techniques of pyrotechnic craft dating from the Edo period in Japanese history. 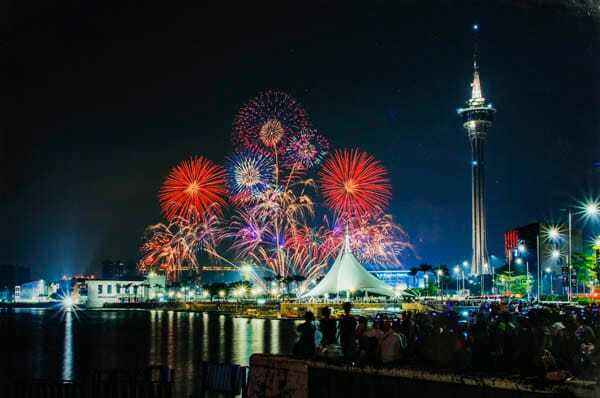 DAEHAN FIREWORKS Co. (www.dhfireworks.com) joins the Macao International Fireworks Display Contest for the sixth time, following its appearances on the 22nd, 23rd, 24th, 26th and 27th editions (on its first three participations, the company joined the contest under the designation of Woori Fireworks Inc). Starting from 1990, DAEHAN has been in charge of fireworks displays in several big theme parks in its home country, including the amusement park Samsung Everland and Lotte World’s theme park in Seoul. The company’s portfolio also includes the production of several fireworks displays in Korea for the 2002 FIFA World Cup Korea/Japan. Orzella Fireworks di Orzella Antonio (www.orzella.it) opens the fourth night of displays of the 28th Macao International Fireworks Display Contest. The company is joining the event for the second time, after its appearance on the 24th edition. Now on its fifth generation, the family company founded in 1884 holds a rich pyrotechnics heritage. The founder of the company, Orzella Louis invented many pyrotechnics, such as the “Roman candles”, named after the city of Rome. 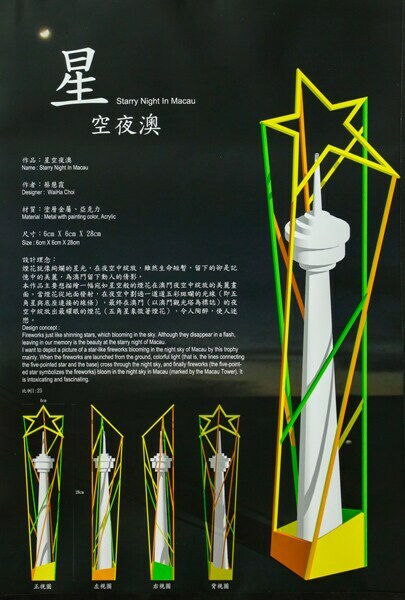 The Canadian company Feu d’artifice Orion (http://feuorion.com) makes its first appearance at the Macao International Fireworks Display Contest. 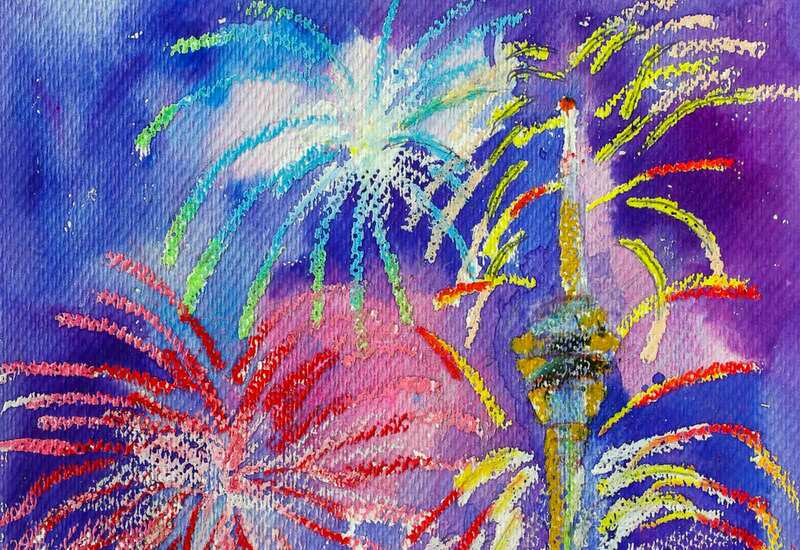 Established in Quebec in 1999, the family-run company Feu d’artifice Orion stages over 80 fireworks shows over the Canadian province of Quebec and the world annually, including more than 40 displays in three days for the celebrations of the National Holiday of Quebec in June alone. In 2015, the company won the first prize in Blackpool World Fireworks Championships, in England. Pyro-Technic Transilvania Srl (www.pyro-technic.ro) opens the closing night of displays of the 28th Macao International Fireworks Display Contest. Pyro-Technic Transilvania Srl is the first Romanian team to join the contest. The company was founded in 1998 and organizes over 250 fireworks shows for major festivities and prestigious sports events in Romania every year. 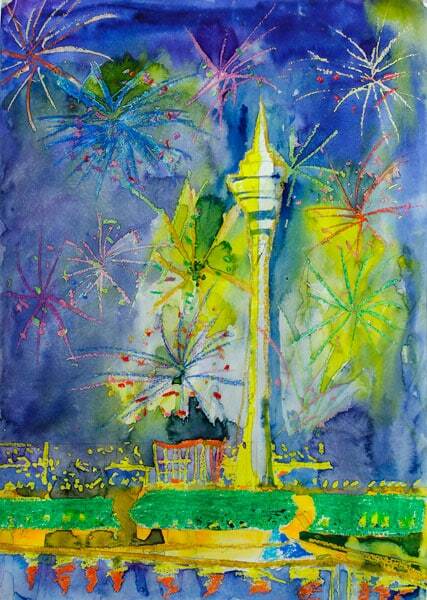 In 2006, the company won the championship in the Romanian National Fireworks Contest. 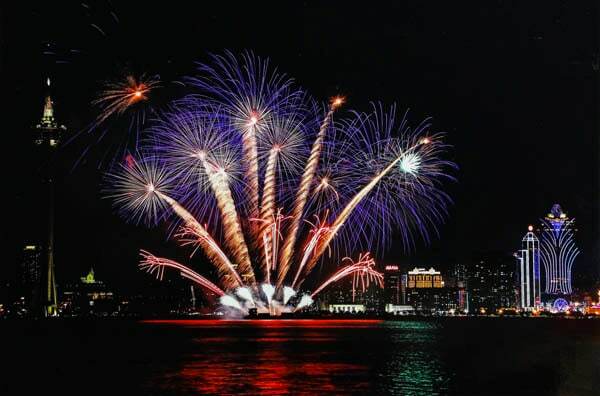 The company from Mainland China HUNAN JINGTAI FIREWORKS CO., INC. (http://sunny.wcbs.us) joins the Macao International Fireworks Display Contest for the third time, following its appearance at the 26th edition, when it took home the contest’s championship, and at the 11st edition, the year it won the third place. 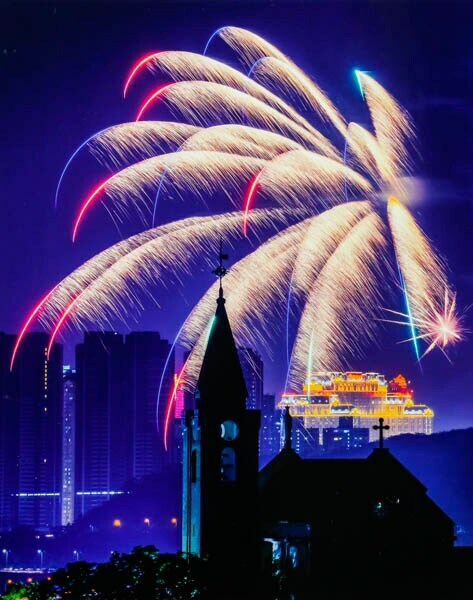 Based in Hunan Province, famed as the “Hometown of firecrackers” in China, HUNAN JINGTAI FIREWORKS CO., INC. counts more than 30 years of history. 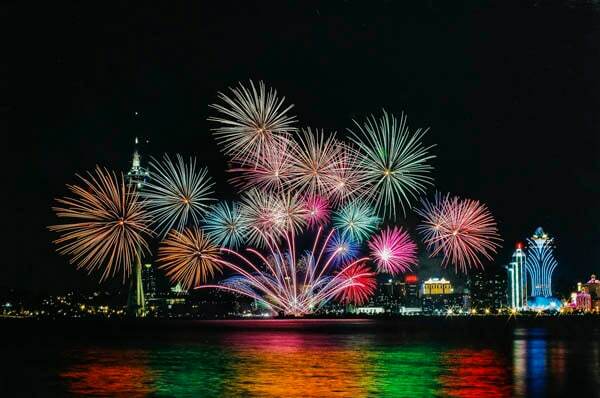 The company has gained fame and acclaim in the fireworks industry, both as a manufacturer, exporting to Asia, Europe and North America, as well as a pyrotechnic performer, having joined contests all over the world. With principal offices located in Valenzuela City, Platinum Fireworks, Inc also maintains its own factory in Sta. Maria, Bulacan – undeniably the fireworks capital of the Philippines. As a trusted partner in year-round events and festivities, Platinum has endured the challenge of the times with a broadening client base. Generally associated to welcome the New Year, the aerial displays have brightened numerous town fiestas, significant family occasions and celebrated a distinguished list of corporate clients, marking their elaborate milestones. 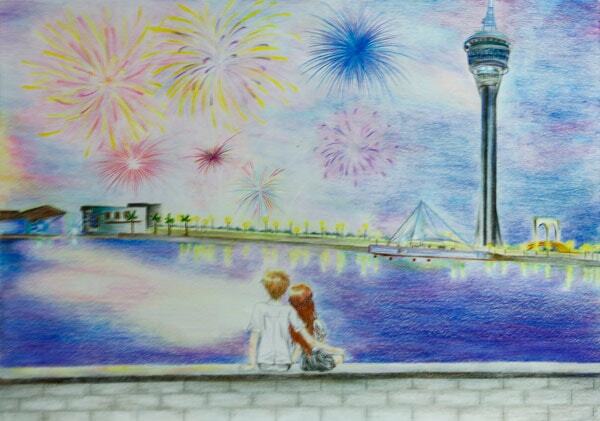 We are thrilled to be invited back to the Macao International Fireworks Display Contest. Our company won 3rd place in 2009 and in 2010 and we hope we can do as well or better this year. Even though we are shooting on the first night of the competition, we believe that we will offer a performance that will be strong enough to impress the judges and the crowd. We have designed a completely original show for this event featuring high quality pyrotechnics and with a strong emphasis on the digital firing of low-level comet and mines sequence. We believe that our show is emotional, powerful and will prove to the spectators and judges that the Filipinos can entertain like no other! 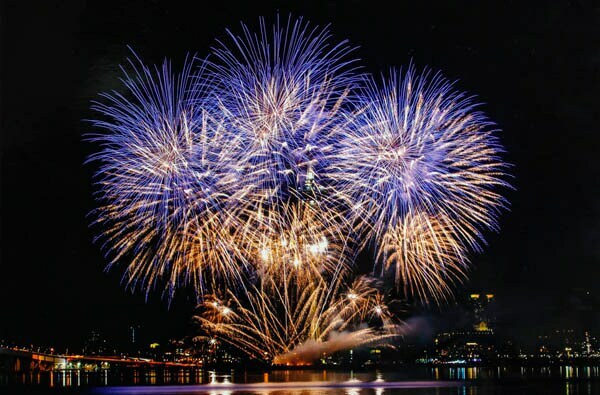 Faseecom is an experienced corporation that has succeeded in presenting fireworks performances in many national events, cultural festivals, K-pop concerts and sports events. The corporation possesses high level professionals, namely planner, creator, fireworks show designer, gunpowder expert and various other pyrotechnics specialists. Always doing its best to attain customer satisfaction, Faseecom endeavors to create the best event for the public to enjoy. 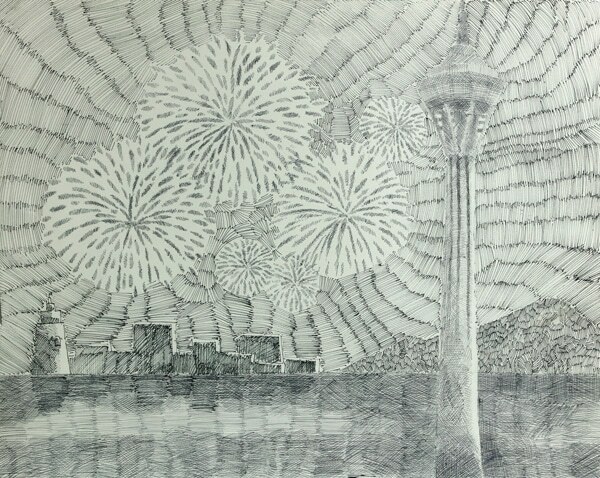 It is a great honor to participate in Macao International Fireworks Display Contest. The message of peace delivered by the Pyeongchang Winter Olympics brought the attention of the world to the Korean Peninsula. 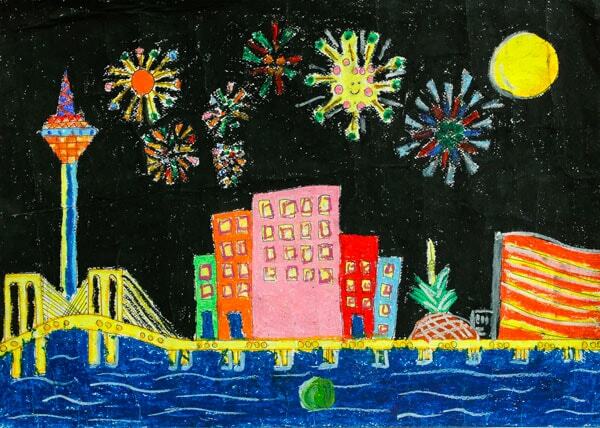 Our fireworks show will send a message that the world should unite and walk together on the path of peace. 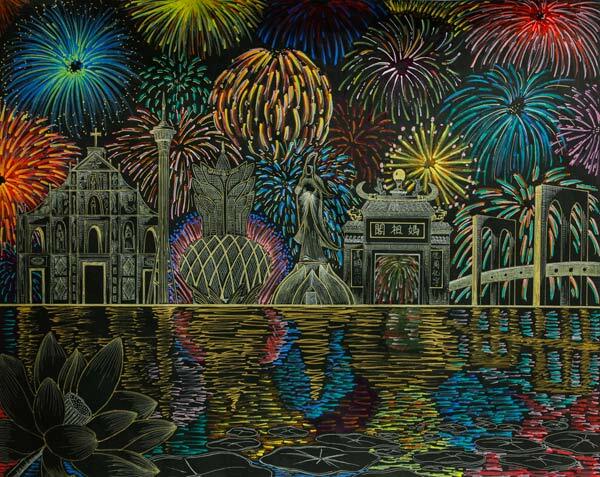 We are glad to share the meaning of love and peace with world through the Macao International Fireworks Display Contest. Marutamaya Ogatsu Fireworks co., Ltd. takes proud from coming from a fireworks manufacturing history and culture spanning 154 years. 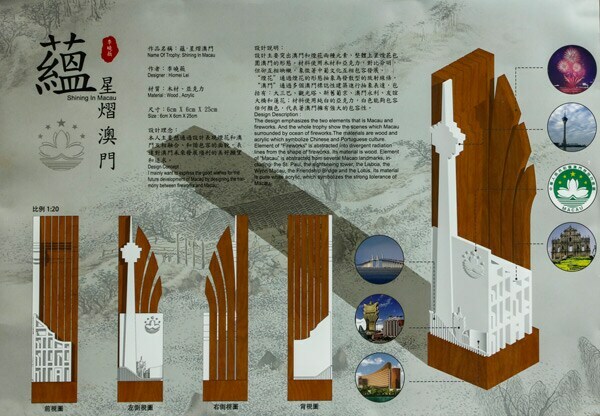 With safety and quality as its main concerns, the company is committed to continue to make good quality fireworks, while fully displaying on its performances the modern innovations together with the traditional Japanese pyrotechnics techniques. 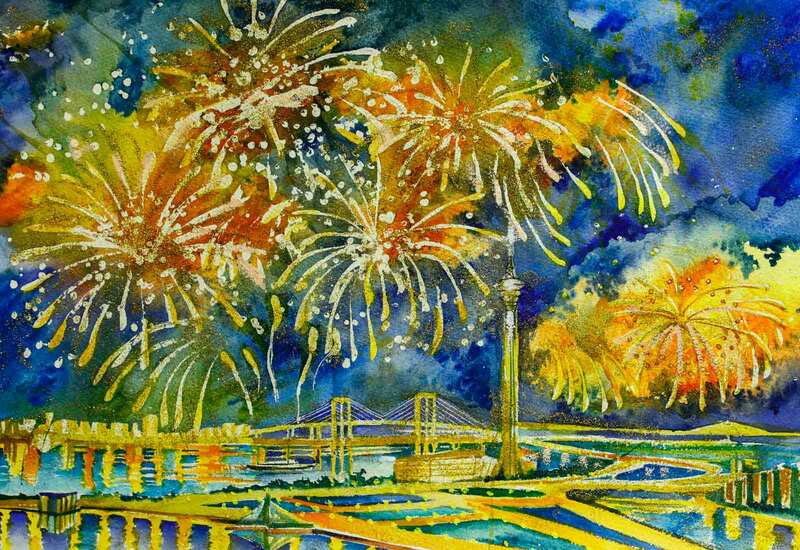 Nowadays, it is not easy to present the fireworks from Japan in foreign countries and regions due to the difficulties with the transportation. 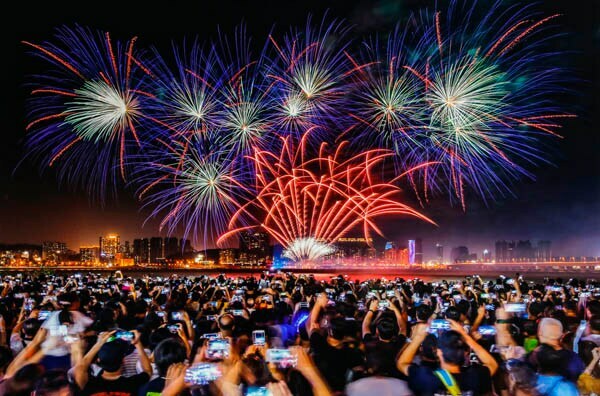 We hope that the public in Macao can enjoy the opportunity of experiencing a live performance of traditional Japanese fireworks, without having to go on YouTube to watch them. H.C. PYROTECHNICS is Belgium’s leading fireworks company, with a reputation for staging displays at the highest quality and creativity level. Albeit being a relatively new company on the international scene, in a relatively short time established itself as one of Europe’s foremost pyrotechnic operators. HC Pyrotechnics is also responsible for the organisation of Belgium’s annual Knokke-Heist International Fireworks Festival, which is one of the most prestigious and well-known competitions, boasting a long and distinguished history with its 39th edition in 2018. In addition to staging fireworks displays, HC Pyrotechnics also provides event management and support facilities, and works with the Disney Channel in Benelux to create spectacular shows for their summer tours. We are very thankful to get the chance, and the challenge, to perform our magic in Macao. We are looking forward to work in this unique location, and to meet pyro-friends in the city, hoping to leave some good memories of our performance behind. Alpha Pyrotechnie benefits from the over 25 years of experience and internationally recognized skills in large-scale outdoor shows of its founding director, Patrick Brault. The company presents its shows in France and all around the world, with artistic creativity and technical mastery matching the impact of the events. 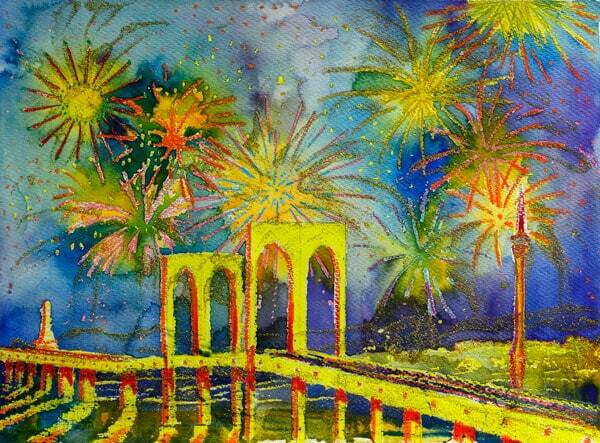 Over the years, Patrick Brault has perfected his own style in pyrotechnics: elegant, choreographic, refined. His vision of fireworks as an emotional experience brought him to fully integrate many media tools in his designs, in order to obtain perfect dramatic unity: music, light, video, 3D mapping, lasers, fountains, special effects, and more. Beyond his large expertise, Patrick Brault knows how to let his poetic creativity speak in his deeply moving and magnificent shows. To match his creative and exquisite designs, Alpha Pyrotechnie has developed its advanced technology and own methodology. The several awards won in international contests, along with the large shows staged in prestigious places, and the distinctive know-how in the field of special effects, prove Alpha Pyrotechnics’ excellence in its trade. We are quite happy to present our work for the first time in Macao, and in Asia. We are also happy to compete with international range companies from all over the world. Grupo Luso Pirotecnia is known for its unique design and artistic signature. 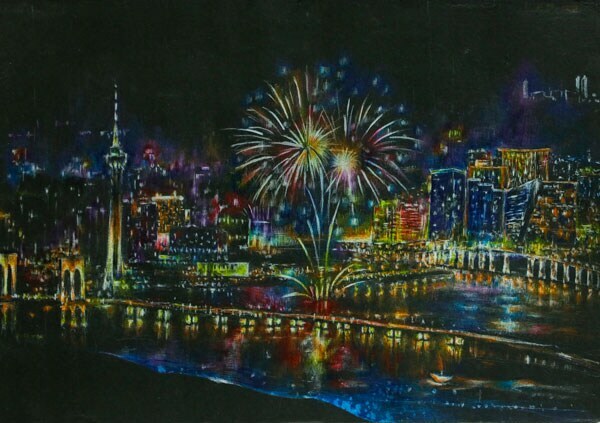 The innovations presented on the company’s shows, either in terms of products that it specially manufactures for the shows as fireworks producer or by the way it applies and uses them in the displays, are well renowned around the world and among the fireworks industry. Nationally and internationally, the public is able to recognize the company’s shows without being told that it’s a Luso performance. 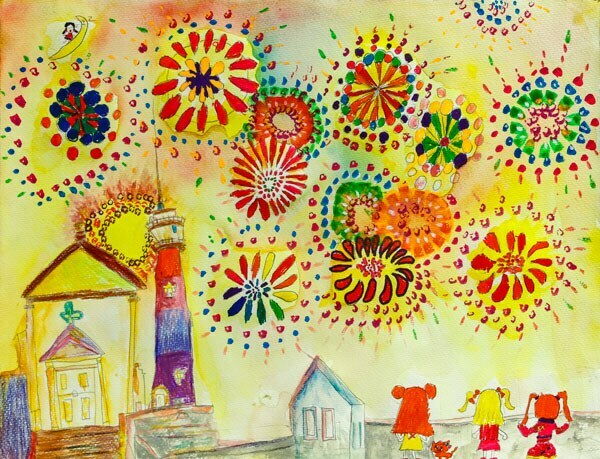 Following its creation in 1995, Luso changed the way fireworks displays are done in Portugal and brought a more artistic dimension to it national and internationally. We hope to present an intimate and unique show, with very distinct characteristics, able to demonstrate our design and, above all, to fully display the pallet of emotions the theme involves. Basically, we want to generate the most beautiful emotions in the audience that will attend our show, which is based on something very Portuguese: the Portuguese most traditional music genre Fado – listed by UNESCO as Intangible Cultural Heritage. Potsdamer Feuerwerk GmbH designs and directs worldwide fireworks and laser shows at the highest level for over 25 years. The Berlin-based company knows how to arrange colors and patterns in perfection in tune with the music. Its highly motivated team creates memorable moments for the audience. Potsdamer Feuerwerk frequently magnifies its shows with flame effects, laser art and pyrotechnic special effects. 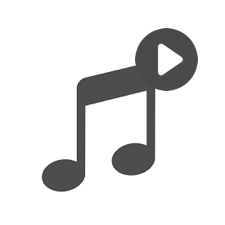 In conjunction with the music, this results in a very special and truly magic moment. Potsdamer Feuerwerk attracts hundreds of thousands of spectators each year with productions at the Hamburg’s Port Anniversary (world’s largest port festival), among other events. Of course, we want to win the contest, thrill the audience, and convince with our good teamwork. 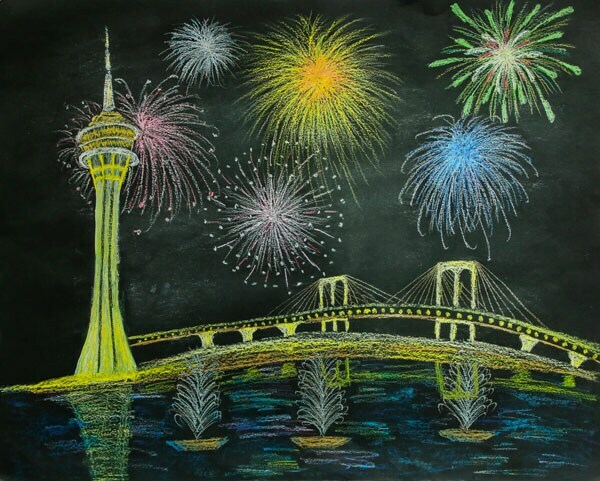 Our pyrotechnicians have participated in several competitions all over the world and we are very excited to participate at the 29th Macao International Fireworks Display Contest. We want to show the audience and the jury in Macao that - in terms of fireworks - Berlin and Germany belongs to the best in the world. 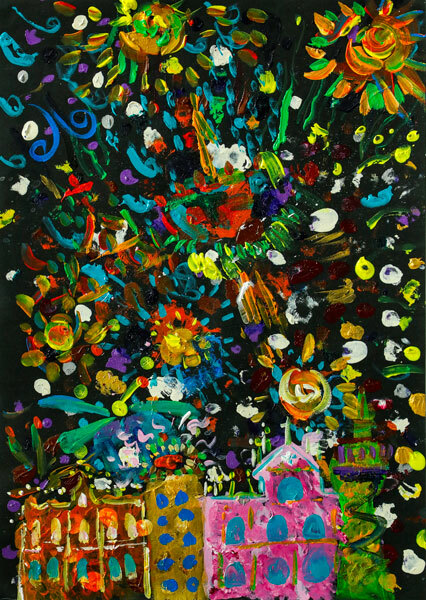 The best way to introduce our company is by explaining what fireworks is for us: it's the ability to merge the gift of music, together with complex and abstract thinking, to the feeling of colours and forms. Imagination and determination are also part of what distinguishes our company and above all our managing director and choreograph, Michael Rehak. 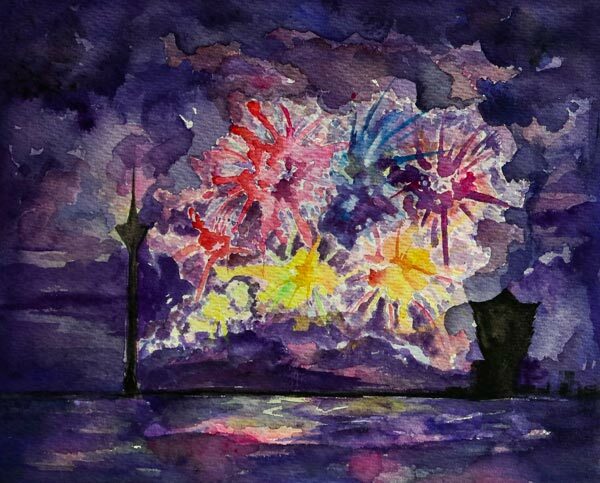 He possesses a rare feeling for fireworks, and the optimal – full of fantasy – know how on how to create unique display shows. 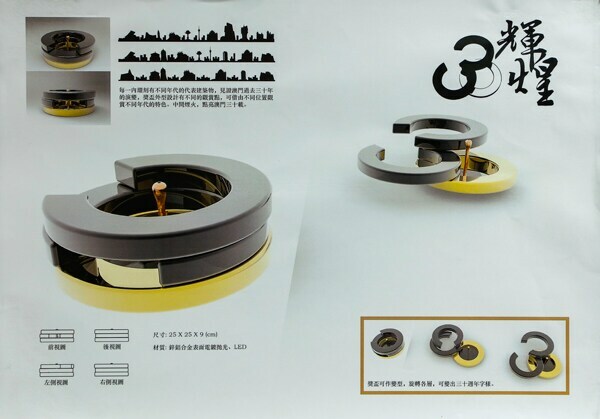 We put intensified value on the use of products of the highest quality level, which together with suppliers from China, we mainly find in Europe. Close cooperation with small factories in Italy (Sicilia) and suppliers from Spain, allows us to use unique, high quality – very individual – products. 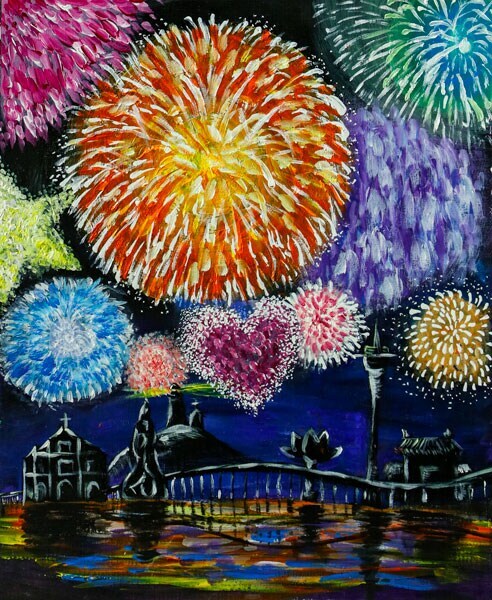 After the unfortunate cancellation of last year’s competition and all the bad things Macao people had to face due to Typhoon Hato, we would like to bring happiness and love with fireworks ideas from the other side of the world. 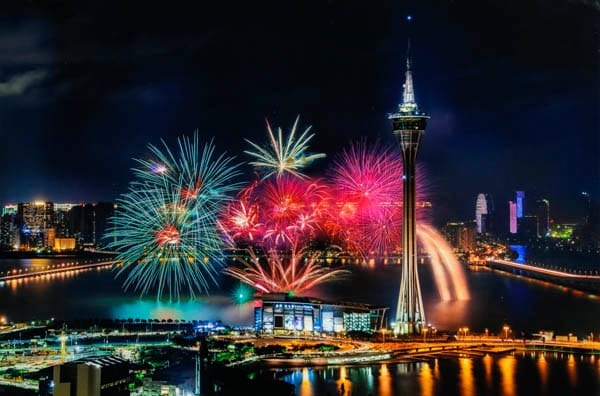 We would like to introduce Austria to Macao people, to show the magic of use fireworks to connect people around the world and convince the jury with our ideas! We want to bring love and fun to Macao! 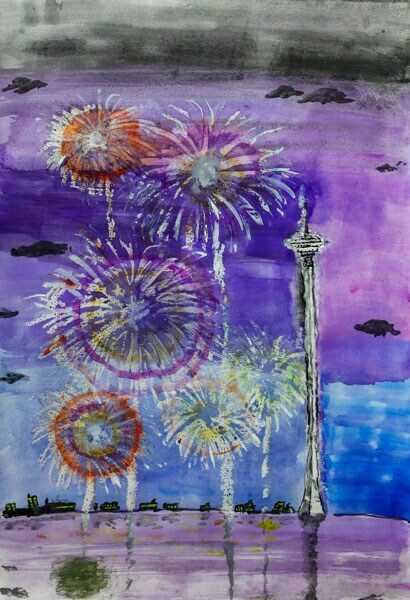 The knowledge of fireworks manufacturing, together with the application of new techniques, allows PANZERA to realize a wide range of customized products and effects, and permits to create every kind of displays, the smallest and the magnificent one. Besides Roman Candles, which gave fame to PANZERA all over the world, the company produces a wide range of Cylindrical and Spherical Shells, typical examples of Italian pyrotechnical art, which the company exports to all corners of the globe. PANZERA weds tradition and innovation, music and fire, creating fascinating pyro-melodic fireworks on both classical and modern music. Nearly all European countries saw PANZERA participating in important events. PANZERA is also a supplier for more than 30 years of Wald Disney World Resort in Orlando, Florida. In addition, in 1996, PANZERA executed an unforgettable display in one of most evocative places in the world, Jerusalem, to celebrate the 3000 years of its foundation. As always, both for the small village party and for the most prestigious event, PANZERA does its best to set up a high-level show that can entertain and amaze the public. 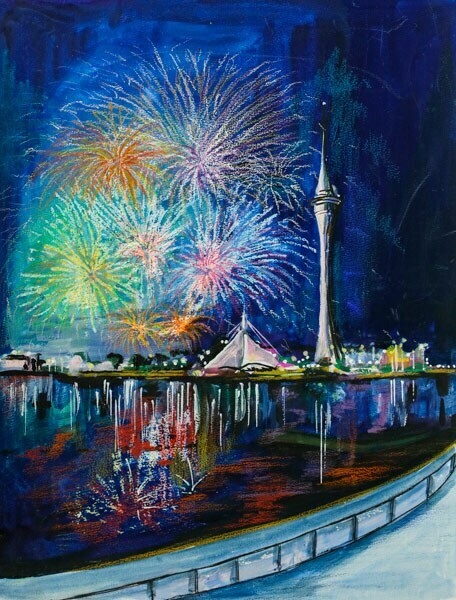 The invitation to the 29th Macao International Fireworks Display Contest is a great honor for us and we expect to set up a show worthy of this event. 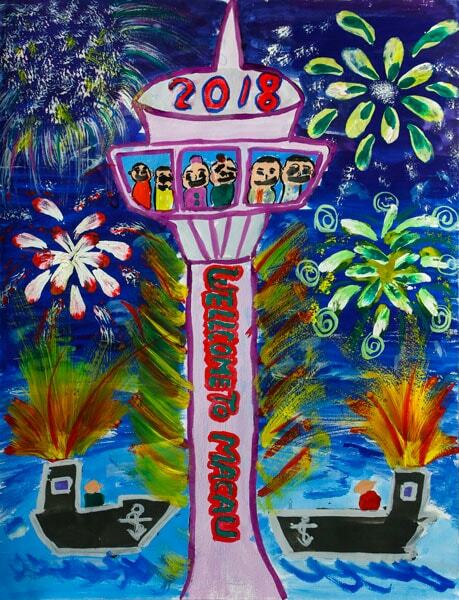 Inaugurated in 2003, Liuyang New Year Fireworks Trading Co., Ltd. is based in the town of Chengchong in Liuyang, renowned as the hometown for fireworks in the world. 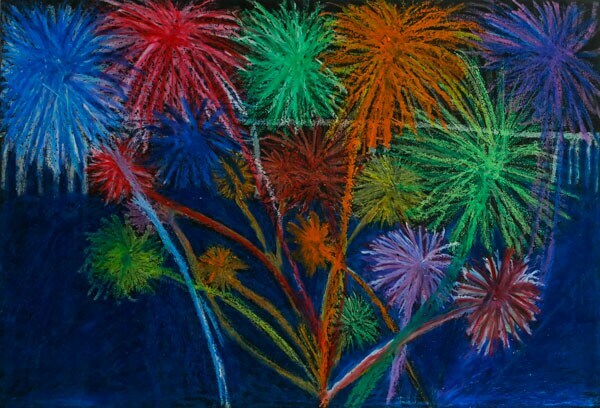 The large fireworks enterprise is dedicated to technology research and development, fireworks manufacturing and sales as well as production of fireworks displays. 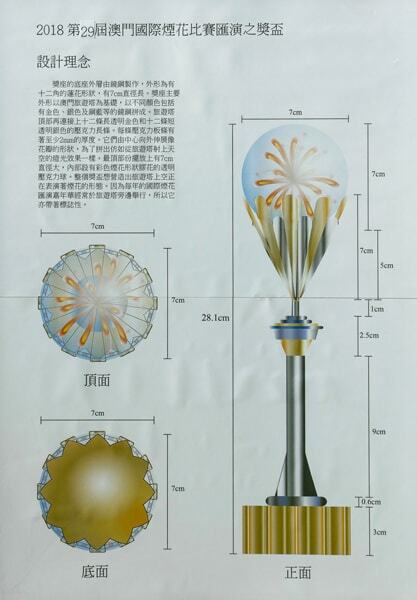 The main products of the company range from aerial shells, ground bursts, Roman candles to fountains, which have gained popularity in Australia, the United States, Europe, Japan, Southeast Asia and other parts of the world over the years. The leading company boasts an experienced and professional fireworks team, advanced techniques and state-of-the-art computerized firing systems. 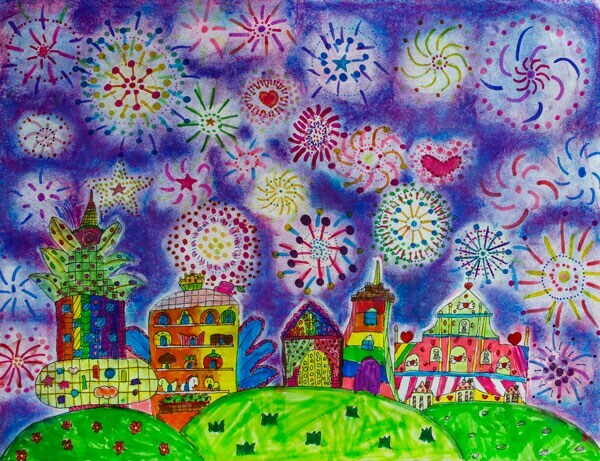 In recent years, the company has presented fireworks displays in major celebrations and events across the world, including the United States, Japan, France, Italy, Argentina, Malaysia, the Philippines as well as Beijing, Shanghai, Xi’an and Qingdao in Mainland China, winning much applause and recognition at home and abroad. 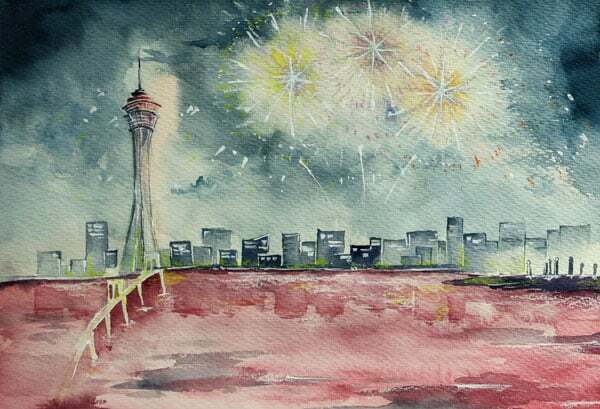 We are honored to take part in the Macao International Fireworks Display Contest, and more so to join the Contest as a team from China on the National Day. We will give our best with our top-quality products, sophisticated choreography and preeminent professional team to present a spectacular show with the goal to bring home the championship.